Hammocks provide one of the best ways to rest while outdoors. Whether you want to enjoy the fresh air in your backyard, relax at the beach or even want something for sleeping when camping, this Honest Outfitter hammock is one of your best choices. The single hammock is spacious and comfortable, and the double one will fit two people comfortably. It supports up to an impressive 500 pounds. This hammock is simple to set up and also super lightweight for easy transportation and storage. You will also get some straps and carabiners on your purchase. 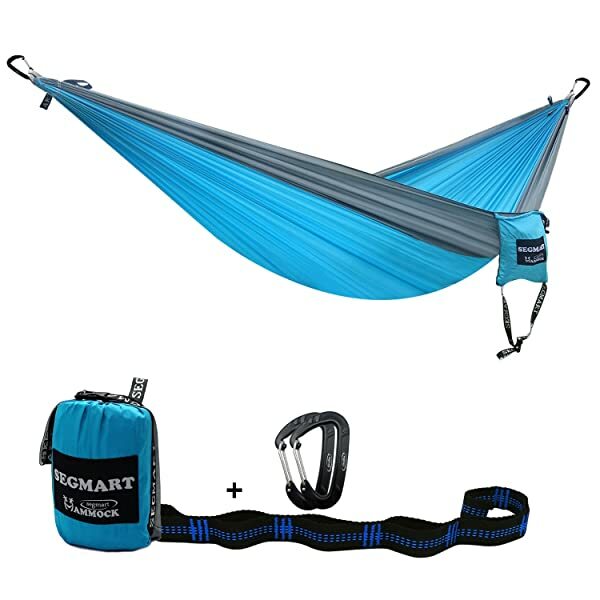 The 210T nylon construction makes it a very durable hammock. It also comes with a small integrated carry sack. You get to choose from close to a dozen lovely color combinations. Triple stitching design will help to keep you safer when using the hammock. The quality of the straps is not the best. It is still not as durable as the other high end and expensive hammocks. Lack of adjustability on the straps means that you have to get trees that are just the right distance apart. Hammocks provide one of the best ways to rest while outdoors. Whether you want to enjoy the fresh air in your backyard, relax at the beach or even want something for sleeping when camping, this Honest Outfitter hammock is one of your best choices. It is an affordable product that is available in both single and double, and it features a durable 210T parachute nylon construction The small one has a weight capacity of 400 pounds while for the double one it is 500 pounds. Each comes with an integrated carry sack, and you will also get some straps and carabiners for quick and easy setup. 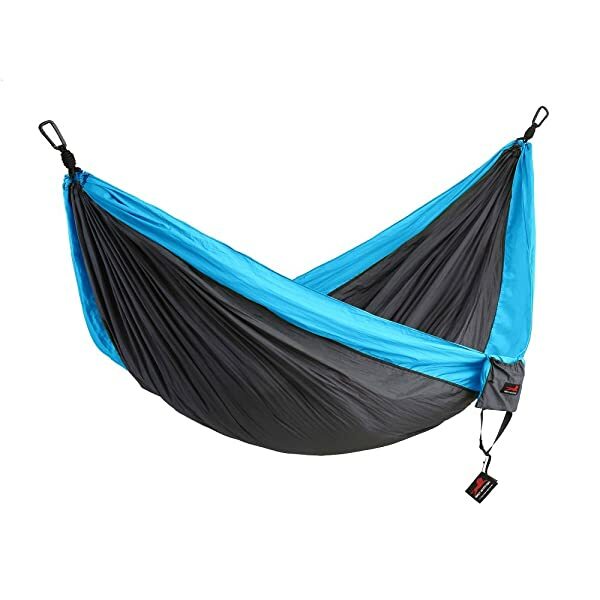 Material: These are 210T parachute nylon hammocks, and the high-grade fabric also features a triple stitching design to ensure maximum hammock strength and durability. Also, this material feels soft and is breathable and mildew resistant. 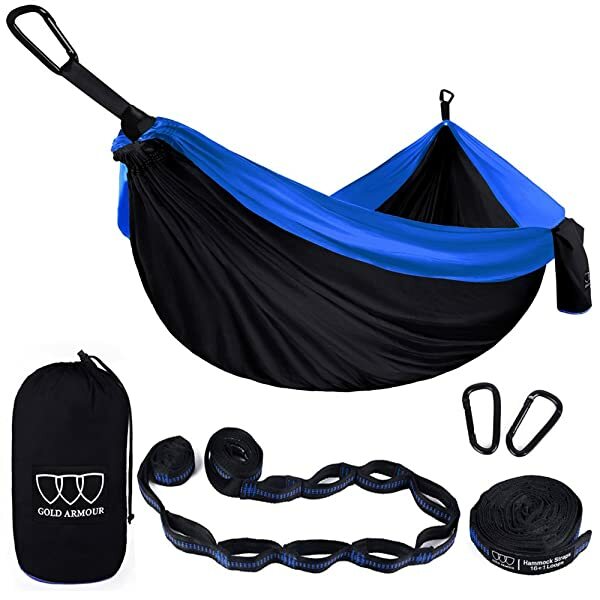 Weight Capacity: The single hammock can withstand up to 400 pounds of weight while the double one has a capacity of up to 500 pounds and so you can always be sure of safety when resting on either of them. Size: For the single version the dimensions are 55×108 inches while the double one measures 78×118 inches and so both provide plenty of resting space. 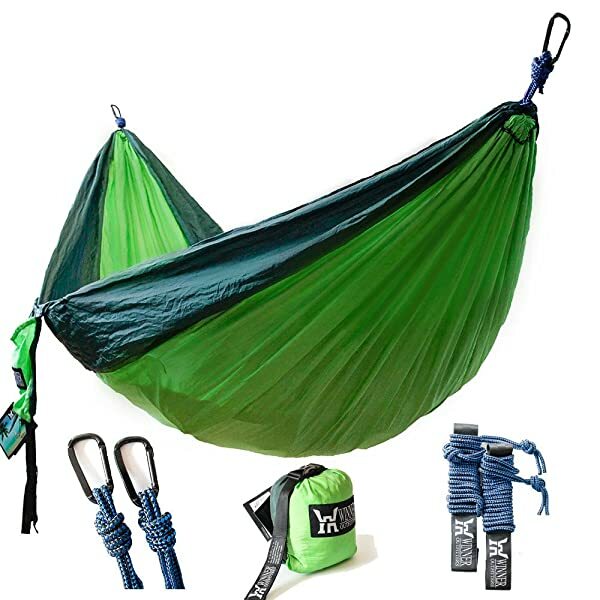 What You Get: When you buy this Honest Outfitters product, you will get the single/double hammock with an integrated carry pouch, a couple of 10-feet long straps and two robust steel carabiners. 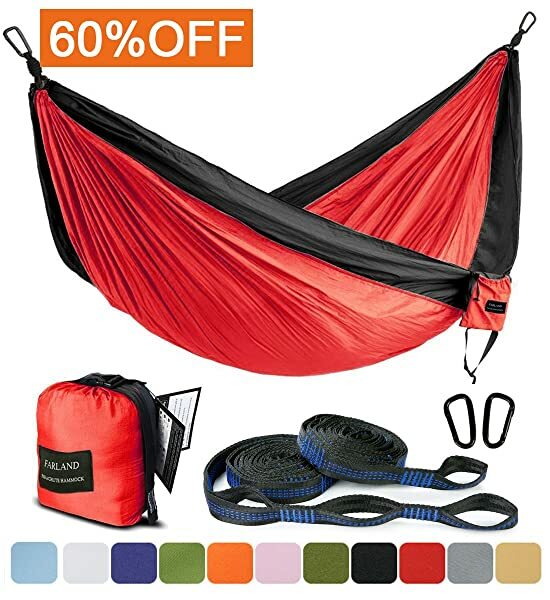 Colors: The availability of a variety of colors is one of the things that make this a unique hammock as you can get it in close to a dozen color combinations that include grey/blue, red/charcoal, and royal/grey. The Honest Outfitter is a comfortable hammock that is available in both single and double size, and it provides enough resting space for one or two people depending on what you pick. And if you are also looking for something versatile that you can hang between trees or even use for sitting in the backyard or the beach this will be an excellent pick for you. It will only take about 3 minutes to set up this hammock as it also comes with the ropes and carabiners. There are also many other great features that should convince you to buy it such as the durable construction and its availability in some lovely colors. However, there are also some shortcomings such as the quality of the straps and the fact that they are not adjustable. But, the bottom line is that this hammock is worth buying, and this is more so because both the single and double versions will not cost much.